St. Patrick’s Day is a celebration of Ireland’s patron saint. It began in the 5th century when a 16 year-old British boy named Maewyn Succat was kidnapped by Irish marauders. He remained a shepherd slave for six years. The boy had a vision that instructed him to escape. Back in Britain, he had another vision to help the people of Ireland. He became a priest and took the Catholic name of Patrick. St. Patrick returned to Ireland on a mission in 432 A.D. where he built schools and monasteries throughout Ireland. A popular legend about St. Patrick is that he drove all of the snakes out of Ireland. Another legend is that St. Patrick used clovers to teach the Irish about the Catholic Trinity. 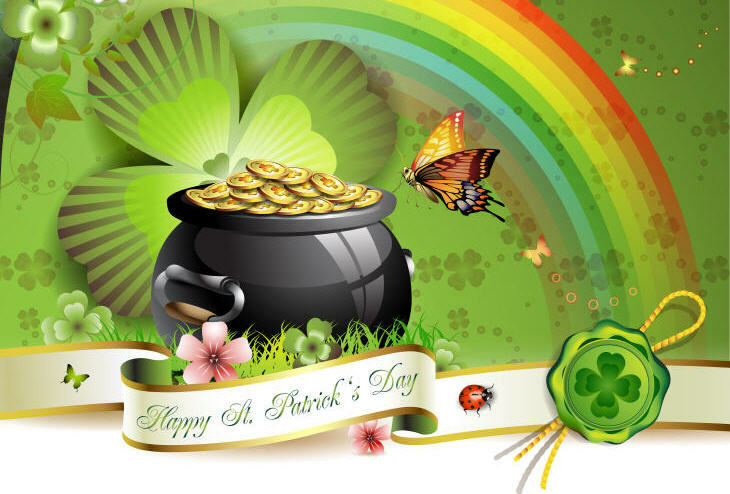 The holiday is celebrated each year on March 17th as St. Patrick was said to have died on that day in 461 A.D.
Today, we celebrate St. Patrick’s Day with parades, parties, and Irish beer. Why not celebrate St. Patrick’s Day with some fun 3D prints? You can show off your Irish pride with phone cases, stamps, jewelry and more.WhiteClouds is a 3D printing service company, so if you have your own designs, upload your file and we will 3D print it for you.